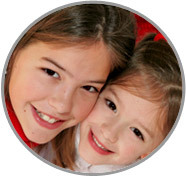 Other Nanny Agencies in York County PA do not hold a candle to the service and level of commitment the staff at ABC Nanny Source provides - call and experience the difference today! Nanny Agencies in York County PA enjoy representing nannies like Rebecca who have experience in a daycare and as a nanny! Please call 717-221-1020 today to speak with a placement counselor and end your search at other Nanny Agencies in York County PA!